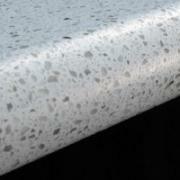 To keep the price on Express Granite as low as possible, it is only offered with the Flat polis edge. 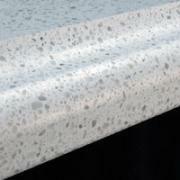 Simple and easy to maintain, the flat edge has a smooth, clean, modern look. 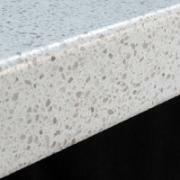 This edge really brings out the look of stone countertops. It is a very popular choice, and has a very distinctive look. 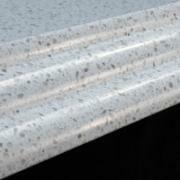 A slightly curved profile that mimics the traditional Bullnose edge with a more defined top and bottom edge. This is a very clean, smooth edge option. It is a full wrap-around curved edge. You'll love the look and feel of this choice. 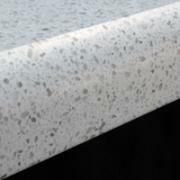 You've surely seen this edge around, and it is available for your custom stone countertops. If you want it, you got it. 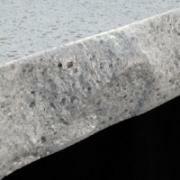 One of a few decorative edges available for our custom stone customers. This is a very popular choice right now, and will definitely catch your eye. 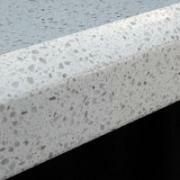 Cache Valley Counter Tops is one of very few fabricators in Northern Utah with the ability to machine this edge.